SCVHistory.com LW3383 | Letter from William S. Hart to Amelia Earhart re: Buffalo Coat, 10-8-1936. Regarding Gift of Buffalo Coat. 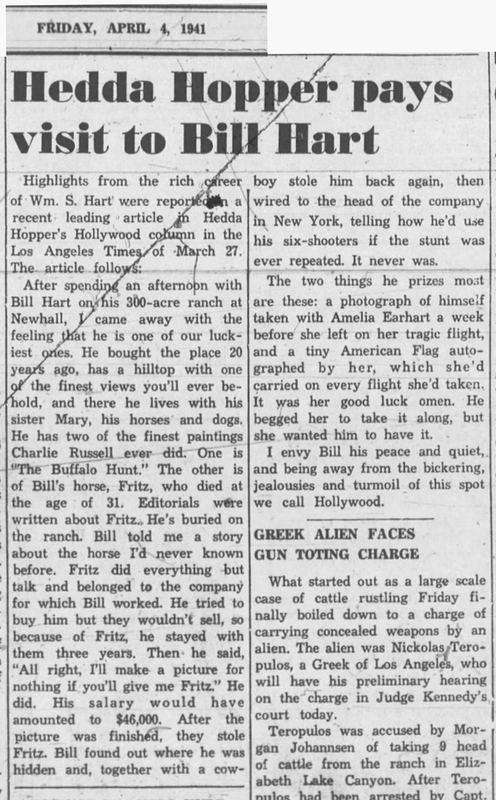 Horseshoe Ranch, Newhall, California | October 8, 1936. Two-page letter from William S. Hart to aviatrix Amelia Earhart, October 8, 1936, telling her he's sending her a buffalo coat (which he did) to keep her warm when she "climbs far up into the sky." Original letter in the George Palmer Putnam Collection of Amelia Earhart Papers at Purdue University, where Earhart had been on faculty. George Putnam, the publisher, was her husband and widower. Some sixty years ago, the U.S. Govt chose to fight the plains Indians during the winter months, when it was the custom of our red brothers to hole up. To do this the U.S. Govt was obliged to furnish our soldiers with 40 degrees below zero apparel. 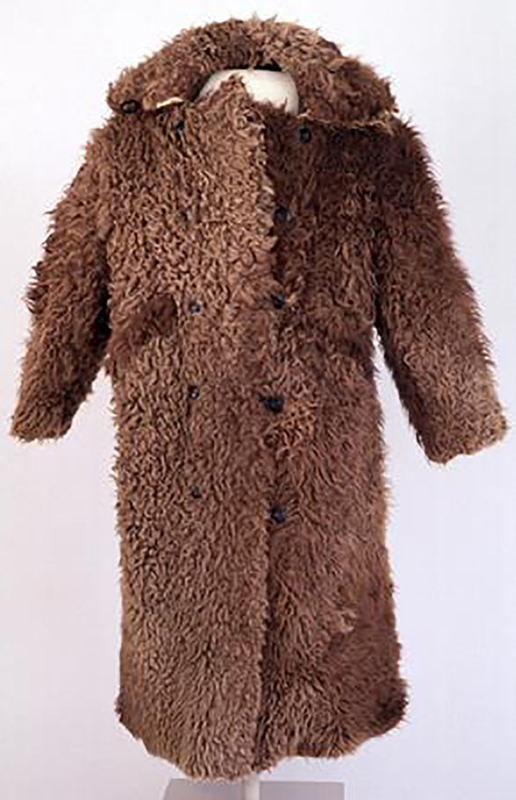 Under such circumstances the war was quickly won, and the hundreds and hundreds of huge buffalo overcoats that had been especially made were as useless as old Fort Abraham Lincoln and the soldiers who occupied it. Their occupation was gone. For forty years these coats rested in cold storage; they were then taken out and disposed of. I was so fortunate as to get hold of a few. In a few days, the first lady of the air will receive one, so that when she climbs far up into the sky, this old buffalo coat of the Indian wars and prairie (?) will hold her tight and keep her warm. "GPP" is George Palmer Putnam. We don't know who John Drew is, although he may have been affiliated with Earhart's business partner, Hollywood stunt pilot Paul Mantz, whom she met through her husband. Putnam met Mantz when the latter worked on 1927's "Wings;" Putnam had pitched the story to Paramount. LW3383: Download individual pages here.